I wanted to let you know how successful the party went last night. After the invitation received rave reviews and kudos to the designer, "how elegant", "beautiful", "clever", and "I won the Academy Insider Award! ", my guests, wanting to act just as cleverly, beautifully, and elegantly, all showed up here last night in tuxedos and gowns. It was unbelievable. Bob had on his tux shirt and cumberbund just as his black and white outfit, but the guests came in bowties and their formal shoes. All the ladies were outfitted with their best furs and jewels. It was grand. Mary Claire, thank you for your part in making this a truly wonderful evening. What did I ever do without you? As always, your creation turned out more beautiful than I could have ever imagined. It is always such a pleasure to work with you. Thanks for bringing the notes by. They are darling! I love them, so original. I searched everywhere for unique, one-of-a-kind wedding invitations and found Snail Mail Forever. 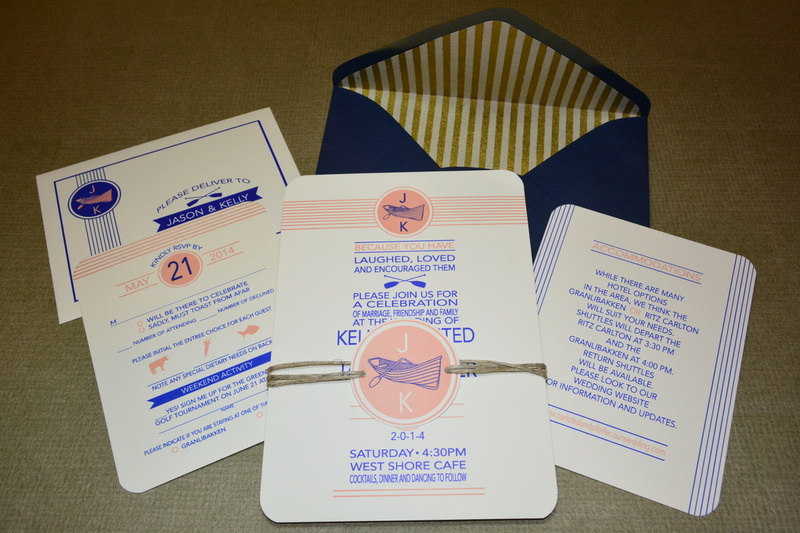 The invitations were beautiful! I couldn't have been happier! I received them quickly after ordering. 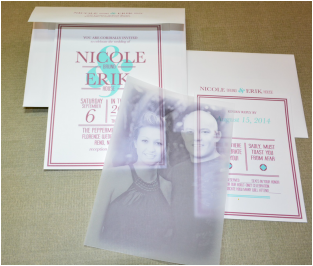 I would definitely recommend to anyone that is looking for unique and high quality wedding invitations! Thank you so much for all the wonderful help in planning Kaylah's bridal shower, and the exquisite invitations for both the shower and the wedding! Your work gets more and more beautiful every time I see it! Thank you for the wonderful invitations. Everyone loves them. [Thank you] for the lovely white tags you made for us! We will enjoy them for the year to come! Love the stationery and the very prompt service!